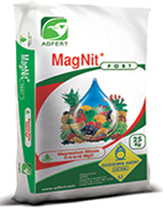 MagNit®FORT 11-0-0+15MgO is a fully water soluble nitrogen and magnesium fertilizer. It is free of chlorine compound, sodium and heavy metals that are elements detrimental to plants. 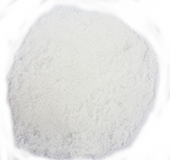 MagNit®FORT application in fertigation as regular Mg source, MagNit®FORT is an excellent source of Mg especially for high saline irrigation water due to very low conductivity value(EC value).